The best way to eat Giant Puffballs. Cut a giant puffball in to 1-1.5cm thick steaks. Gently fry them on a low heat in butter or olive oil for around 2 minutes. 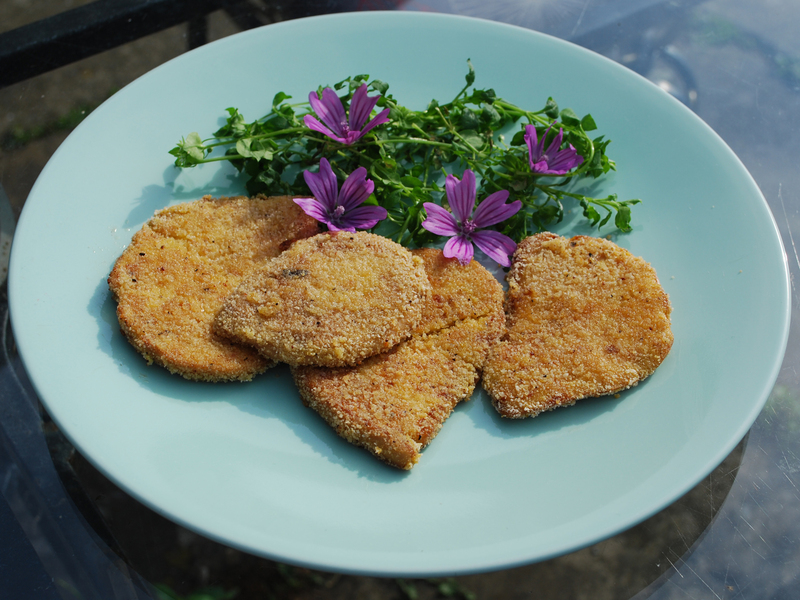 Season some flour and breadcrumbs then dip the puffball steaks in flour, egg then breadcrumbs. Continue frying until the breadcrumbs are golden.